University of benin school fees increase from 13,400 to 41,400. This is unacceptable. 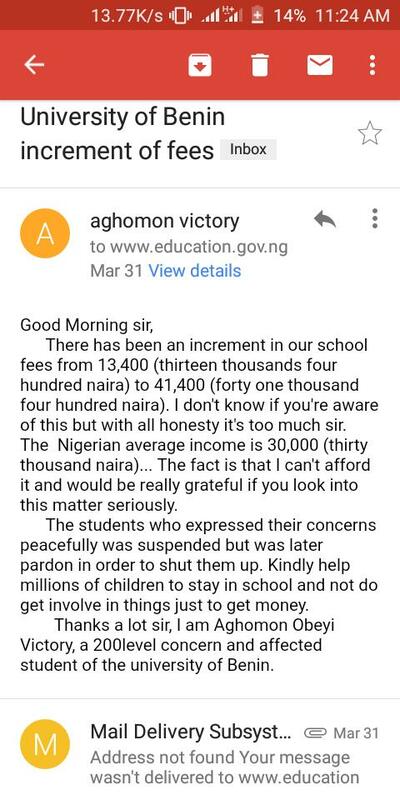 We urge the @MinistryFederal @FGNigeria @AsoRock to look into this matter.